Pack your favorite travel stories in this folding suitcase book. 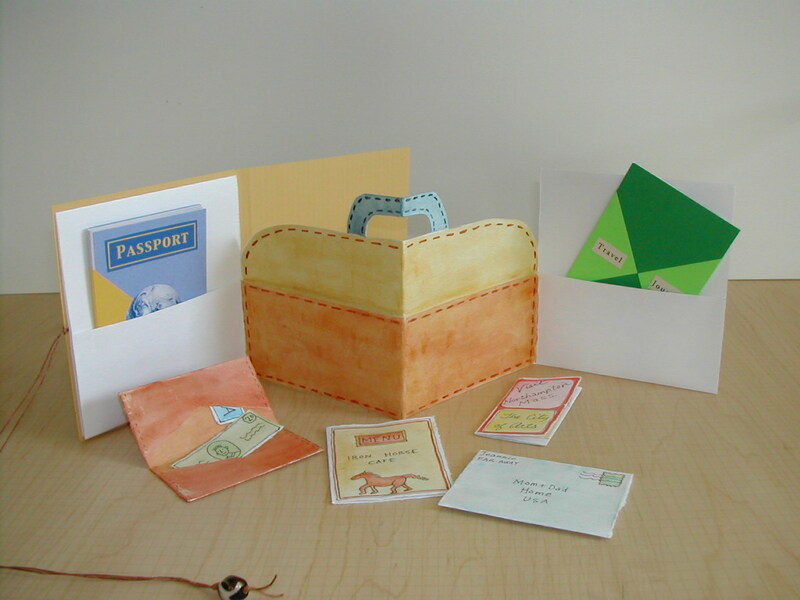 In this workshop, we'll build a suitcase-shaped accordion book that has four pockets and a wrap-around cover, with string closure. Then we'll learn to make simple cut-and-fold booklets and brochures to fill the pockets in our suitcase. 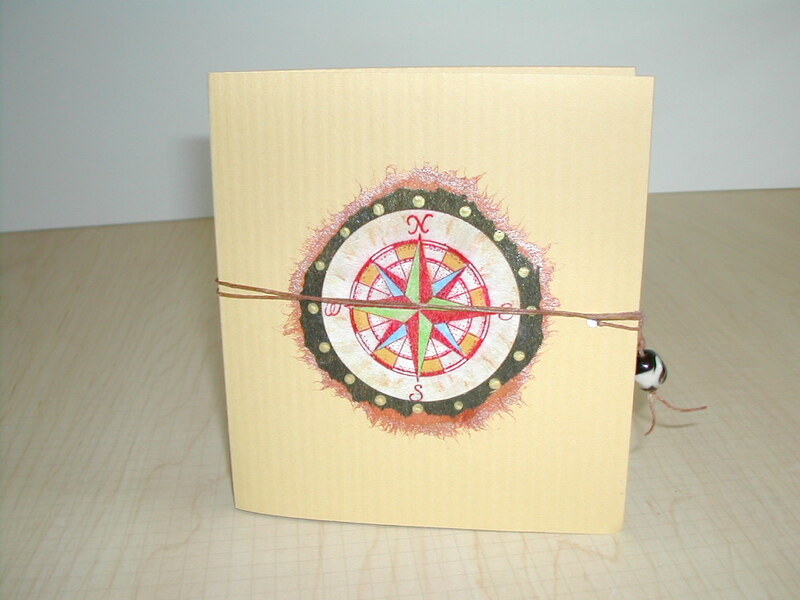 Tell a travel story in a series of travel journals, brochures, menus, maps, and imaginary letters. Write about a place you have visited, or about an imaginary journey.